Stephen M. Smith, M.D. (1937-2011) was the founding physician of the medical practice that has become All About Women, OBGYN. Dr. Smith was a model physician treating all people as equal, putting patient health above business, and making himself available 24 hours per day. He began medical practice in Panama City in 1968, and became the first local Board Certified Obstetrician and Gynecologist. During his 44 year medical career in Panama City he delivered in excess of 10,000 babies, grew a practice of more than 80,000 patients, and was one of the original founding members of Gulf Coast Regional Medical Center. For his patients, colleagues and office staff that have survived him, his spirit continues to remind us that a real physician is always caring. 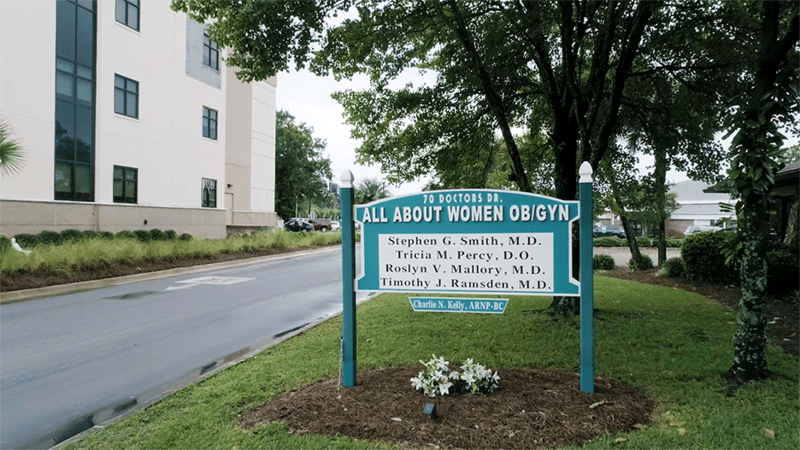 Conveniently located at 70 Doctors Drive, directly across from Gulf Coast Regional Medical Center’s Emergency Room we serve women from Bay, Calhoun, Franklin, Gulf, Holmes, Jackson, Walton, and Washington Counties caring for all of your Obstetrics and Gynecology needs.